With the preseason behind them, Pat Shurmur has given the New York Giants three days off and told them to start focusing on the season opener against the Jacksonville Jaguars. While many players may not be going far from the team&apos;s facility, they have been given film of Jacksonville to study before returning Monday. New York finished a 2-2 preseason Thursday night with a 17-12 loss to the Patriots when all of the starters rested. It takes a lot to put a smile on Bill Belichick&apos;s face and get a handshake from the stoic New England Patriots coach in the fourth game of the preseason. Third-string quarterback Danny Etling did it all on one play. In a meaningless game Thursday night in which neither team played their starters, Etling added a lighthearted moment to the contest and iced the Patriots&apos; 17-12 win with an 86-yard run on an option keeper that totally fooled the New York Giants&apos; defense. The NFL preseason came to a close and New England Patriots rookie quarterback Danny Etling made sure to bust out one last highlight on Thursday night. Etling ran a read-option play late in the fourth quarter in the Patriots’ final preseason game against the New York Giants at MetLife Stadium on Thursday, and decided to keep the ball and run out to the right side. Etling ran the ball 86 yards into the end zone for a touchdown, putting up critical points that led the Patriots to a 17-12 win. The American football season is just around the corner and teams are starting to either get very excited or extremely nervous about their personnel. Elsewhere around the U.S. sports spectrum, two sisters meet once again, an NBA star expands his horizons, a champion flexes his muscles, and the eyes of the country are upon college football. The 2016 NFL Defensive Player of the Year still hasn&apos;t shown up to the Oakland Raiders facilities as he continues to hold out for a better contract. 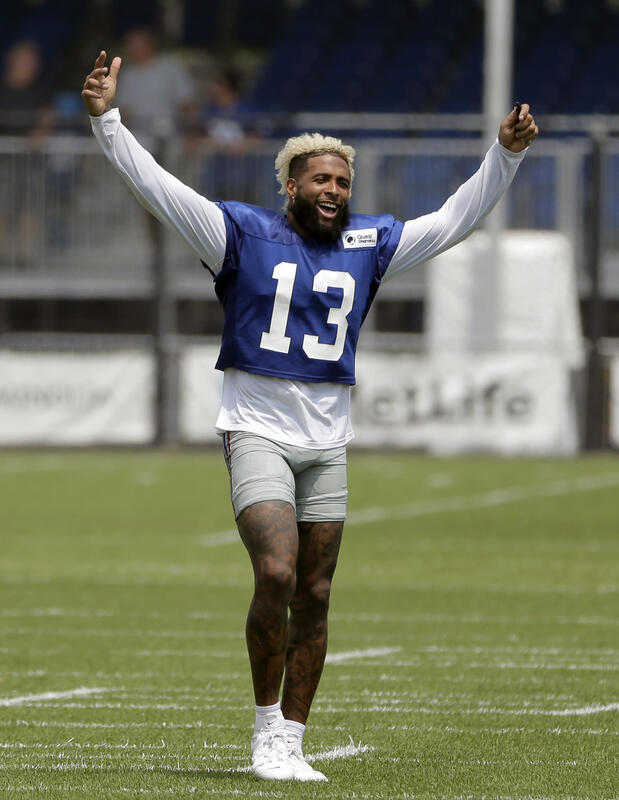 With his new five-year extension signed Monday, New York Giants wide receiver Odell Beckham Jr. expressed relief to have the deal done a day later. "I just wanted to get the contract done, whatever was going to happen with it was going to happen," Beckham told reporters Tuesday. "Now that it&apos;s behind me and there are no worries it feels like a weight lifted off my shoulders." Beckham&apos;s deal, signed Monday, reportedly has a base value of $90 million, with an additional $5 million available through incentives, and makes him the highest-paid wideout in NFL history. Odell Beckham Jr. isn&apos;t satisfied being the NFL&apos;s highest-paid receiver. The three-time Pro Bowler for the New York Giants wants much more than the $95 million deal the team agreed to pay him Monday. The 25-year-old wants to be one of the best to play in the NFL.